This article first appeared in the Morning Star on 28 November 2018. Glyn Ford’s latest book, ’Talking to North Korea’, is that rarest of things: a helpful, sensible, balanced, interesting and informative book about North Korea. Ford is a former Labour MEP and expert in international relations. He has visited Pyongyang over a hundred times, toured the entire country, and met with government officials at the highest level. He is therefore uniquely well placed to explain and contextualise North Korean politics, and to give pragmatic and thoughtful suggestions as to how to move the peace process forward. The book does an excellent job of presenting Korean history and politics to a western audience that has become used to thinking of North Korea as dangerous, unpredictable and unhinged. Describing the decades of vicious Japanese colonial rule in the first half of the twentieth century, closely followed by a genocidal war waged by the US, Ford explains how these experiences created a profound sense of insecurity and distrust among the Korean people, particularly north of the 38th parallel, where the Democratic People’s Republic of Korea (DPRK) has been treated by the imperialist powers as an enemy state ever since its formation in 1948. Also little known is that, in the decades following the end of the Korean War, the DPRK achieved remarkable economic successes. “Annual economic growth rates of 20 per cent or more throughout the 1950s and early 1960s made the North one of the fastest-growing economies in the world.” While the key economic and social questions remained unsolved in the South, the DPRK was able to expropriate Japanese colonial properties, enact a far-reaching land reform, introduce universal free education, achieve 100% literacy and bring in a comprehensive welfare system providing housing, health care, education, employment, maternity benefits, and pensions. For a people that had suffered the depths of poverty, and who had been denied educational opportunities, these were unprecedented advances. Ford puts forward a realistic and sensible proposal for breaking the diplomatic deadlock over the DPRK’s nuclear weapons programme, based on engagement, respect and dialogue. Specifically he makes it clear that the DPRK will not give up its nuclear programme without cast-iron guarantees over its security and the normalisation of relations between it and the US. These conditions should be met, along with the lifting of sanctions and a commitment to helping resolve North Korea’s energy needs (perhaps via the light-water reactors that were meant to be supplied under the US-DPRK Agreed Framework of 1994). If the blanket of hostility were to be lifted, the DPRK’s leadership would certainly respond in kind with a transparent process of denuclearisation. 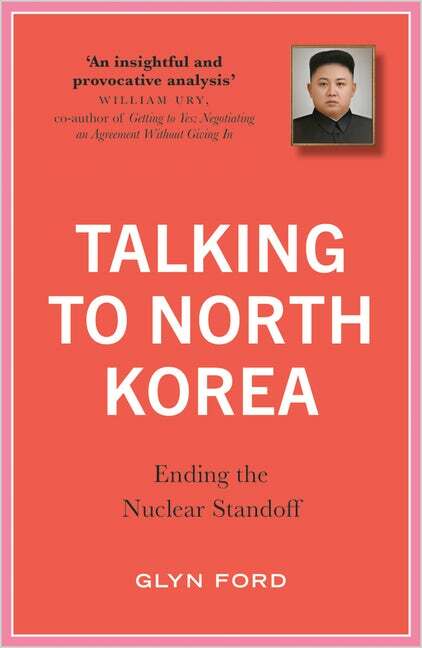 ’Talking to North Korea’ is essential reading, a worthy successor to Selig Harrison’s similar but now slightly dated ‘Korean Endgame’.